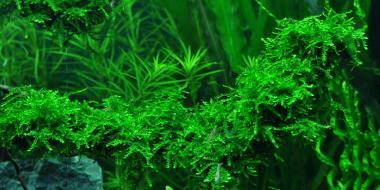 The small Schraubenvallisnerie is suitable for small aquariums. It is very easy to hold and therefore perfectly suited for beginners. 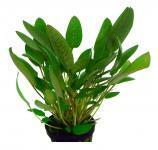 They cope well with less good lighting conditions and does not require any additional CO2. Hardly a moss is as popular as the Vesicularia Ferriei - Weeping moss. Particularly beautiful moss, from which beautiful little miniatur trees etc. can be built. Great design element for your aquarium, so you can decorate your aquarium perfectly. It is easy to care and has a special optic.